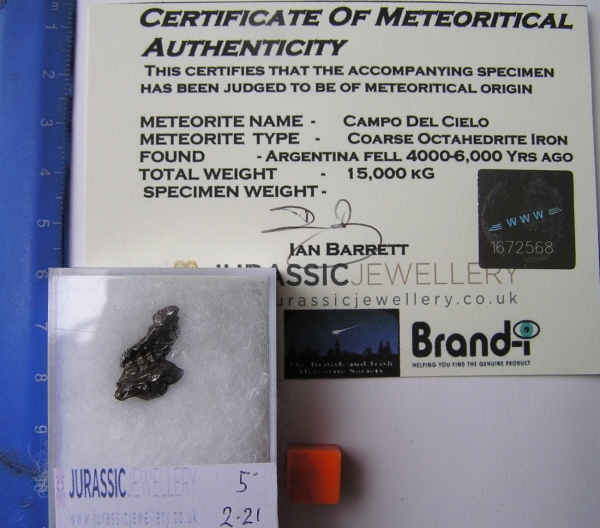 Will be delivered boxed in a padded plastic boxed - and along with a certificate of authenticity complete with unique holographic serial number - and you will also recieve a free A4 full colour meteorite information sheet. All in all a lovely little package for any beginner to the World of meteorites! 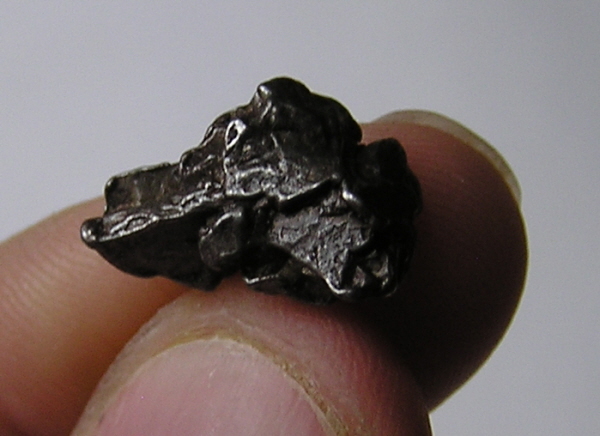 This is a nicely shaped little Campo Del Cielo iron meteorite. This is from a well known fall in Argentina. No-one knows exactly when it fell but it is thought to be between 4000 and 6000 years ago. The next record of Campo Del Cielo meteorites was about 200 years later in the late 1770s. The Spanish thought some pieces might be silver ore, but once they tried to process it, they found that it was only iron. A Spanish navy lieutenant excavated one specimen which he believed weighed 14 to 18 tons. This may have been the Meson de Fierro. He left he mass in place and it was not seen again--or was it? 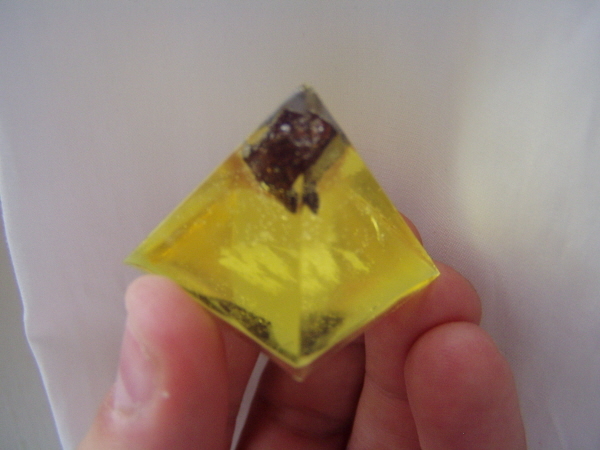 This is a super item and consists of a polished section of the Campo Del Cielo meteorite which has been skilfully encased in yellow resin. This is a famous fall found in Argentina in 1516 but thought to have fallen several thousands of years earlier. It is labelled on the bottom so whoever inspects it will know exactly where the meteorite comes from. The fragment inside weighs about 2 grams but I can't be exactly sure as I didn't make the pyramid.